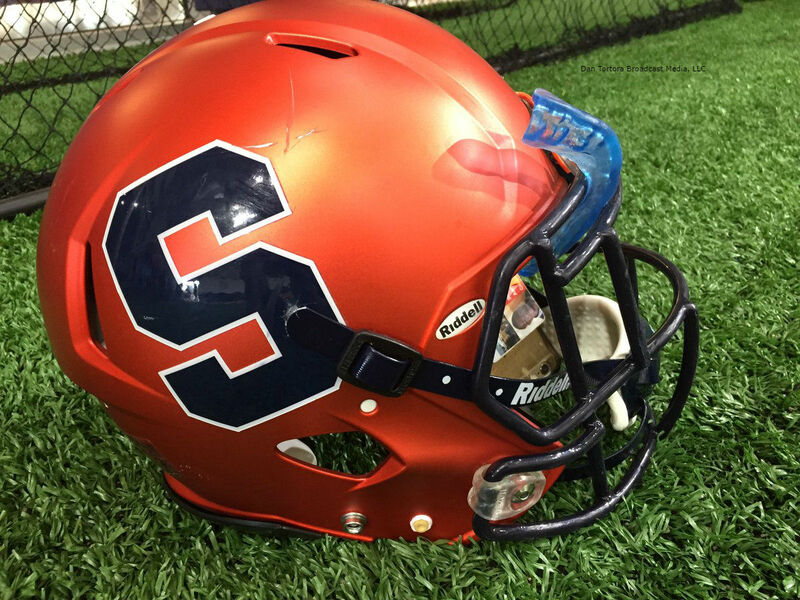 A new chapter has begun in Syracuse Football history, entitled: "Welcome to 2018, The Year of More". Why do I don this season with that title? That, my friends, has an easy answer. Syracuse has gone 4-8 overall and 2-6 in the Atlantic Coast Conference (ACC) in each of head coach Dino Babers' first two seasons in Syracuse, New York. But during that time period, Babers has led the Orange to defeat two Top-25 nationally-ranked teams, with a victory over the Virginia Tech Hokies in the 2016 season and a win against the Clemson Tigers in the 2017 season. In 2016, the Hokies went on to win the ACC Coastal Division and compete in a very close contest with the Tigers of Clemson in the ACC Championship Game. Syracuse was the only team to have a win versus Clemson in the regular season in 2017, defeating the team that went on to win the ACC Atlantic Division, play in and emerge victorious in the ACC Championship Game, and be ranked #1 in the nation which went with having a spot in the four-team College Football Playoff. So the records for Babers' first two seasons in Central New York do not allow the full scope of the progress that the team is working to bring about toward a brighter future. The moves you make today will have an effect on your tomorrow's, and the addition of mid-year enrollees are moves that the Orange hope will end up being the steps that turn a team that has won some big-time games into a squad that is adding winning seasons and bowl berths to the fray. There will be, as much as some fans do not want to believe it, a time when Eric Dungey will not be the quarterback of Syracuse. 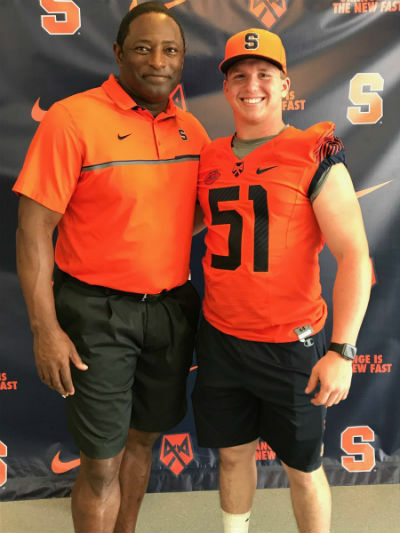 That moment is only one season of eligibility away, so the Orange need to plan for the future, and Amie is an option that will compete with redshirt-freshman Tommy DeVito and redshirt-sophomore Rex Culpepper. Culpepper played in four of 12 games in 2017, finishing with 45 completions on 75 attempts (60%) for a total of 518, with two touchdowns and three interceptions in his first collegiate action of his young career. He also ran 21 times for a total of 54 yards (2.6 yards per carry). In Syracuse's final game of the 2017 season, Culpepper had a completion of 70.6%, going 24-for-34 and achieved his two aforementioned passing touchdowns. Jonas joins a safety group in need of depth and consistency on the field. Antwan Cordy has not only been the team's best safety over the past few seasons, but has also been one of the best overall defenders the Orange have in general. The problem has been his health. 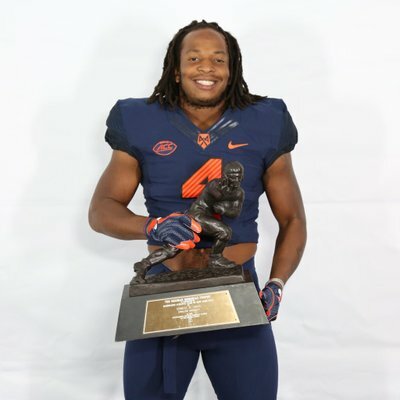 After playing in 23 of 24 games in his first two seasons with Syracuse, Cordy has been on the field for a mere three of the 24 games the Orange have played in between the 2016 and 2017 seasons. 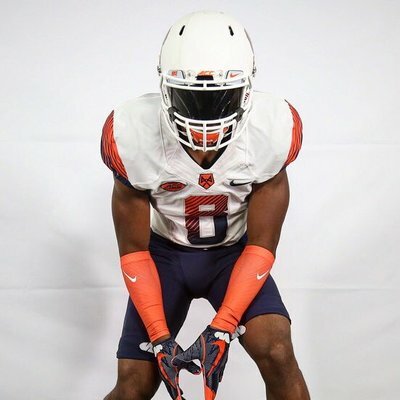 Jordan Martin, who had filled in for an injured Cordy in 2017, has completed his eligibility with Syracuse, and Daivon Ellison has chosen to transfer out of the program, leaving Rodney Williams with the most experience at safety for Syracuse. Wallace, Jr., enters onto an Orange team that had to bid adieu to all three of their starting linebackers, with Zaire Franklin, Parris Bennett, and Jonathan Thomas all finishing up their collegiate eligibility after completing the 2017 season. The doors are wide open to who will take over the interior of the defense, so he will have an opportunity to immediately impact the team and depending on the impact that he makes, he could see himself on the field very quickly. Like Jonas, Cisco is coming onto a team that needs health and consistent strong play at safety. He and Jonas have the opportunity to make an impact right away, and could be seen on the field very early in their collegiate careers if they take care of business in the trenches of Spring and Fall practices. 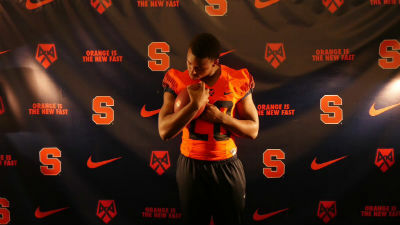 Williams, like Wallace, Jr., will have an open opportunity to become a piece of the future of the interior of Syracuse's defense. As a junior, with two seasons of collegiate eligibility remaining, he has had experience on the field post-college that he can utilize to take him into camp as a factor and hopefully out of camp as a potential starter, or at the very least, as a member of the linebacker rotation. If the name looks familiar, it's because it is. 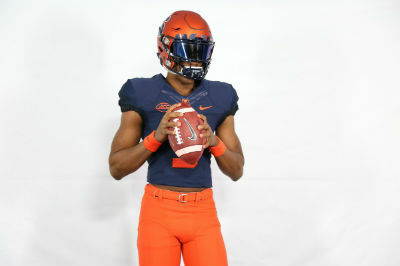 Kevin Johnson, Jr., is the offspring of the Syracuse phenom Kevin Johnson, who went on to play in the National Football League (NFL) after catching passes from former Syracuse quarterback Donovan McNabb. 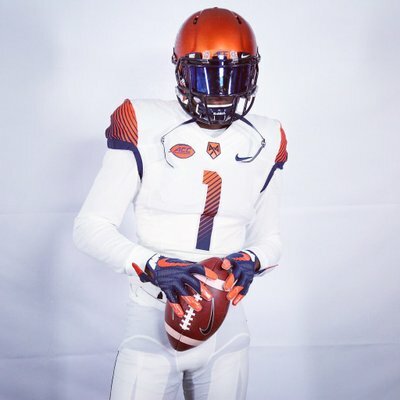 Newly-added wide receiver, Johnson, Jr., competed in prep school at The Hun School in Princeton, New Jersey, before going on to continue his prep for collegiate football at the IMG Academy in Bradenton, Florida. 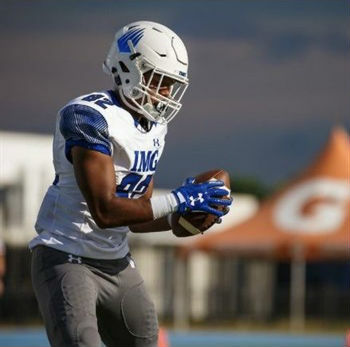 Johnson, Jr., was a part of the success of an 8-0 record this past year with IMG Academy on a team that concluded the season ranked second in the nation in the final USA Today Super 25 poll, behind only Mater Dei in Santa Ana, California. With Steve Ishmael and Ervin Philips finishing up their collegiate eligibiity, the Orange will need all the help they can get in creating new weapons for quarterback Eric Dungey and company to trust in the open field. 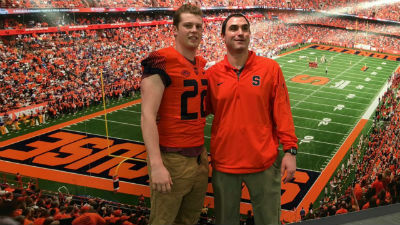 Bolinsky was both a long-snapper and the team's center on the offensive line as a senior at North Schuylkill High School. After aiding North Schuylkill to the District 11 Class 3A playoffs, he was bestowed with the honor of being named to the 2017 Schuylkill County Football Coaches Association (SCFCA) “Dream Team” and voted SCFCA Offensive Lineman of the Year. Before coming to North Schuylkill, Bolinsky started at center for Blue Mountain High School As a junior, Bolinsky was the starting center for Blue Mountain High School in Schuylkill Haven, Pennsylvania, helping his team to win the Eastern Conference Class AAAA championship as a junior. Smigel was named special teams' MVP as a senior at North Royalton. In his final high school season with North Royalton, he made 17 of his 18 extra-point tries and averaged 37.1 yards per punt. His longest punt was 61 yards as a senior. Lesko is in the same place as Trishton Jackson, having to sit out the 2018 season due to NCAA transfer rules, and also has two seasons of eligbility remaining. 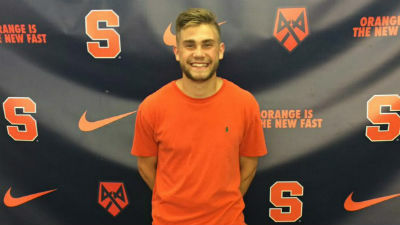 His face is a familiar one to the Orange, after having spent his true freshman season as a redshirt with Syracuse in 2016. He has yet to play a collegiate down after not being on the field in any games for the Chattanooga Mocs of the Southern Conference (So-Con) last season. Jackson will not be on the field in games for the 2018 season due to NCAA transfer rules. He will be eligible to play, per NCAA rules, beginning in the 2019 season and will have two seasons of eligibility in total. 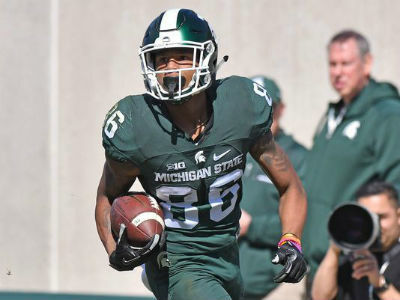 The 6'1" wide receiver played two seasons with the Michigan State Spartans inside of the Big Ten Conference, catching 17 passes for 232 yards and one touchdown. The majority of his stats were accumulated in 2017, where he caught 12 passes for 143 yards, averaging 11.9 yards per reception. Jackson started in four games last season.